School is well in session for most of us--whether our kids are off to traditional school or are homeschooled. You have probably had several weeks to adjust to your children's teachers (and to those teachers' expectations) for homework and projects. If you found yourself struggling through your child's school projects--it's time to step back and regroup. After three kids in STEM and STEAM education for many years; my kids have become school project pros. I wanted to share a few of our tried and true school project tips for parents. Read the Project Grading Rubric with your Child. First. There is nothing worse than having your child plan an incredible (time consuming, costly, messy) project--only to realize it is missing some required, key elements when it's almost completed....or, worse yet, when it's completed. 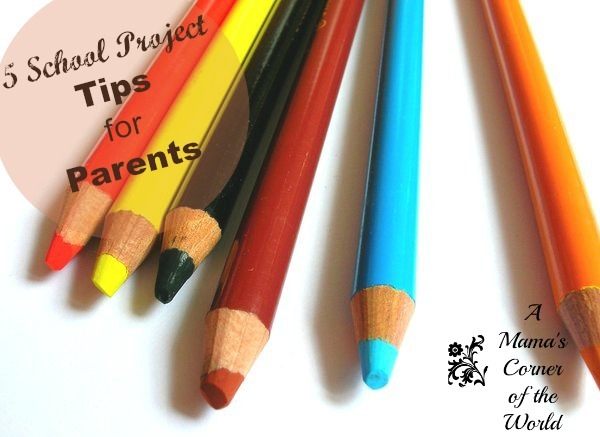 Take some time early on to ensure that your child begins the project on the right foot! It will save you so much energy and stress later! 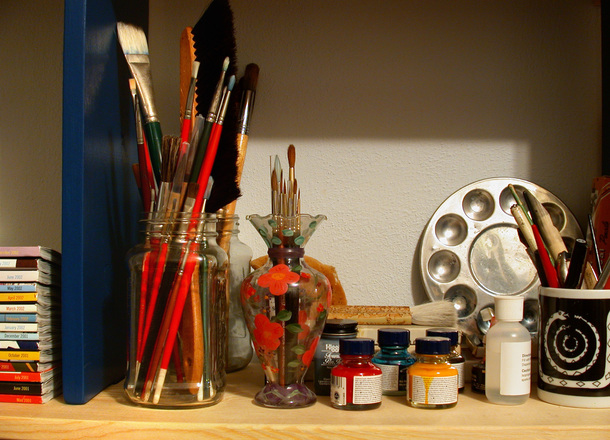 Keep an Assortment of Arts and Crafts Supplies on Hand. You don't have to go out and buy supplies for each project with if you keep an ongoing assortment of school project supplies on hand. Pick up art supplies and project boards on sale--and buy extra art material, markers, stickers, paint, etc., during back to school sales. Store away scrapbooking papers, construction paper, glue, glitter, beads, buttons, fabric scraps, cardboard, and such--and add to your stash from store clearance sales and future projects. Keep your Project Supplies Organized. My kids know where to find markers or fabric in a hurry because we have our supplies stored away in organized bins, bags and boxes in one central location. It takes a little time to organize--but, it is so much easier to know that the girls can take a quick look through available supplies and grab the ones they need. Encourage Creativity--and Resourcefulness. My kids "shop" from our available project supplies for every school project. Occasionally, I must buy a new poster board or project board or replace a certain color of paint or pick up a special item--but, most of the time--they are able to creatively complete their project requirements with our on-hand supplies. This encourages the kids to think outside of the box a little--get creative with project parameters and it saves you money. Don't do your Child's School Project. In our fast paced world where everyone is in some crazy competition to be the best and brightest--it is really hard for parents to keep their hands off the kids' school projects. In our "Pinterest perfect", "Facebook sharing" world.....projects made by 10 year old children are works of perfection.....Too often because those projects weren't made by the 10 year old...but, by her 35 year old parents. Let your 10 year old create a project that looks like it was made by a 10 year old. Trust me--teachers know when parents do the project. Trust me. Your child doesn't learn as much from a project if he doesn't actually do the project. Once upon a time--I hated school projects as a parent. After putting these tips into place--we have a school project routine that works for us--and yields great project results!